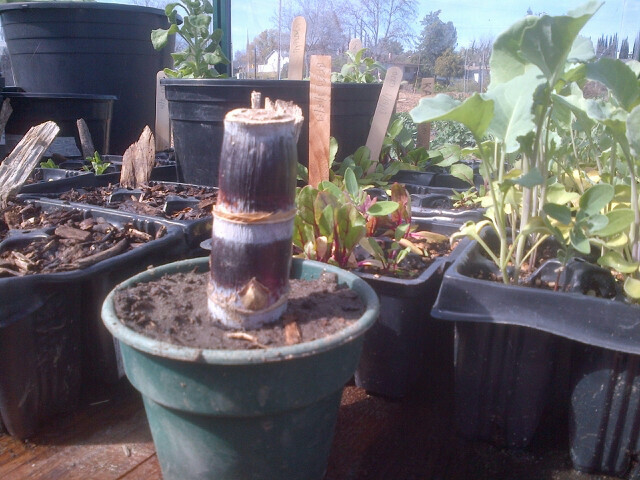 Friend of the garden and regular volunteer Bob donated a sugar cane plant to the CACG some time ago, and the plant has been relaxing comfortably in the greenhouse until last Saturday, where it was planted, and can now stretch its roots in one of the garden beds. Looking forward to seeing what happens with this! Sugar cane in the greenhouse. 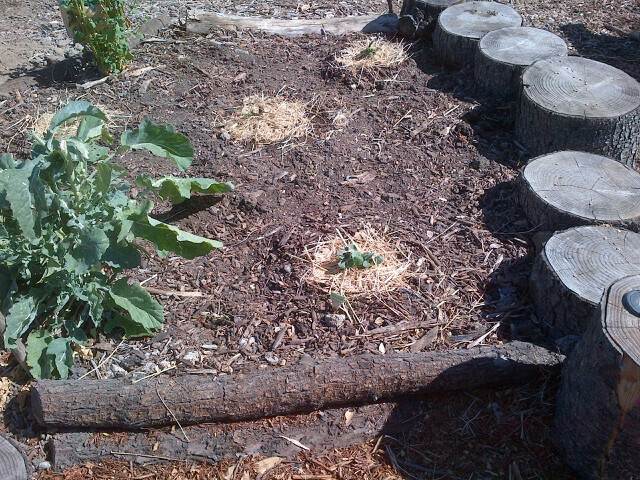 The Sugar cane planted in the center of a garden bed, surrounded by a few squash plants.